Siding, Davidson, NC | G&S Contracting, Inc.
We are confident that we have a siding option that will meet your Davidson, NC home’s needs perfectly. Siding in Davidson – With the way it looks like quality wood and the fact that it doesn’t require time-consuming maintenance and repairs, it’s no wonder that vinyl siding is the most popular choice for new construction and remodeling. Vinyl never needs to be scraped, painted, or stained, and it won’t peel, split, or rot over time. At G&S Contracting, Inc., we offer quality siding options that are manufactured with exceptional ingredients to deliver impeccable wind resistance, rigidity, and durability. All you really need to keep the siding on your home in Davidson, North Carolina looking great for years is a basic garden hose! We are confident that we have a siding option that will meet your home’s needs perfectly. For example, if you’re interested in having maintenance-free siding on your home that will reduce your home’s energy bills at the same time, we may recommend Next Generation Insulated Siding from Prodigy. As one of the most evolved siding options on the market, you won’t be disappointed if you go with this type of siding. Or, if you’re looking for siding that will withstand any kind of harsh weather, we may suggest that you select Polar Wall siding from Norandex/Reynolds. No matter which one of our siding options you go with, at G&S Contracting, Inc., we’re confident that you’ll be more than happy with the way it enhances your home’s exterior. To schedule a free in-house estimate or to find out more about our siding options, give us a call today. 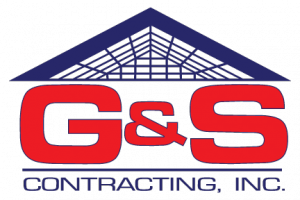 At G&S Contracting, Inc. we offer the highest quality Siding to our customers in North Carolina including: Mooresville, Cornelius, Davidson, Huntersville, Charlotte, and Lake Norman, North Carolina.